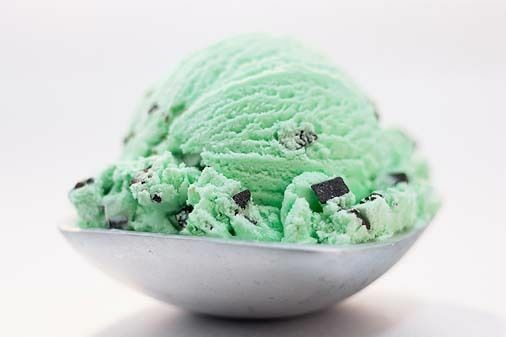 Mint Chocolate Chip is a spring-y, pastel mint green cream that leans to the blue side. I do kind of wish they’d added some chocolate brown confetti sprinkles, or just not included “Chocolate Chip” in the shade name. That’s just misleading! Since this is a pastel shade, I expected it to give me a little trouble, and unfortunately, it did. I found the formula a touch thin and it needed three coats for relatively full opacity and even coverage. The color is really pretty, but I don’t think I’d try another pastel from Morgan Taylor. It wasn’t the worst pastel I’ve tried, but three coats is a bit annoying. The application itself was good enough that I’d try other types of colors, though. However, I don’t know where to find them near me! I got mine from NailSupplies.us (not affiliated) for US$3.25, but they only had two shades available. 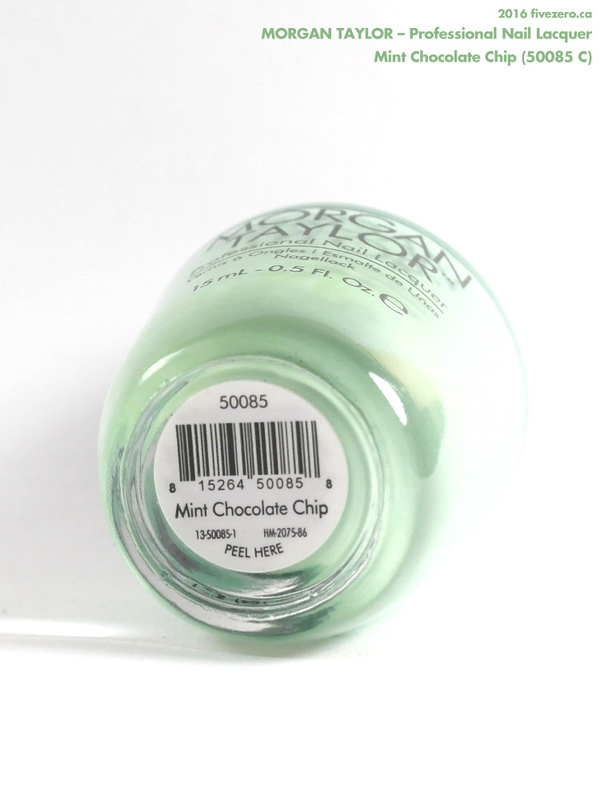 Morgan Taylor Professional Nail Lacquer can be found at selected nail salons—there’s a salon locator for the US on their website. I got my bottle at NailSupplies.us (formerly TransDesign), where it retails for US$2.75, but they only have two shades available at this time. It contains 0.5 US fl oz / 15 mL. The formula is free of toluene, formaldehyde, and dibutyl phthalate (DBP). Morgan Taylor was founded by Danny Haile and David Daniel, who have over 30 years of experience in the nail industry. The company is based in Brea, CA, USA. What a peppermint ice cream shade! If it is edible, I might have eaten it. Mint green, or as my partner Mr. Al calls it, ‘smint, is my nemesis colour, haha! Three coats are too many for me. That is three times the chance that I will smudge my nails before they are dry! I immediately thought of ice cream, but yeah, kind of misleading without the “chips”! Never seen this brand outside of your blog! pretty color. I wonder if one day we’ll have a reliable pastel formula.